by visiting official site of KSRTC before last date. 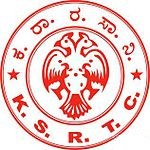 Candidates also check other details related to KSRTC Recruitment 2015 like how to apply, selection process, salary, educational qualification, online application and more details are given below. How to Apply: Candidates have to visit official site of KSRTC and check for Driver recruitment online application form then fill all required information after that click on submit button.